Gioia Pizzeria 1586 Hopkins St./Monterey Ave., (510) 528-4692. M-Sat 11-8, Sun 12-7. Delicious thin crust pizza, with both usual and unusual toppings, is dispensed here by the slice or whole pie. Though it is mostly for take-out, a few counter seats are available inside and one bench outside. My favorite is the Pepperoni, but delicious vegetarian options include Funghi (cheese with roasted cremini mushrooms, thyme, parsley, and garlic oil) and Spinaci Aglio (cheese with organic baby spinach sauteed in chopped garlic and olive oil). Hen House CLOSED 20 Lafayette Circle, (925) 962-1776. M-Thur & Sat 10-4; closed F & Sun. This cluttered old-time antiques shop is fun to browse, and prices are reasonable. Jimmy Bean's 1290 6th St./Gilman St., (510) 528-3435. B-L-D daily (7am-9pm); $. Breakfast is served all day in this casual venue with counter service, and a special brunch menu is added on weekends. Prime selections include silver dollar pancakes, scrambles, omelets, corned beef hash, freshly baked pastries, and four kinds of eggs Benedict. Lunch brings on a grass-fed beef burger with hand-cut French fries, a delectable lamb sandwich, and a jerk chicken-mango-caramelized red onion lavash sandwich served with Caesar salad. A trio of flavorful dipping sauces comes on the side of each plate. Assistance League Way Side Inn Thrift Shop 3521 Golden Gate Way/1st St., (925) 284-4781. Tu-Sat 10-4. Operating within a former hotel and tavern, this charity resale shop sells gently used clothes and furnishings at good prices. A spectacular silver sale is sometimes scheduled (how about that alliteration!). Profits support Assistance League of Diablo Valley's philanthropic programs. Postino 3565 Mt. Diablo Blvd., (925) 299-8700. L M-F, D daily; $$$. Built in 1937 as the town post office (“postino” means postman in Italian), this atmospheric historic building has a romantic storybook-style architecture featuring thick-slate roofs and vintage brick walls. Dining occurs in an assortment of cozy rooms both big, plus on a heated patio. It is the perfect spot to celebrate a special occasion. Particularly tasty items include a spectacular crisp Caesar salad with delicious dressing, housemade pappardelle with a tomato-ground beef Bolognese sauce, and long-braised short ribs. The Potting Shed 55 Bolinas Rd., (415) 455-9459. Daily 11-5. Literally the size of a potting shed, this is a sanctuary of charming container gardens and gardening accessories to fall in love with. The specialty is succulents, which are low-maintenance, sculptural, and don’t require much watering. 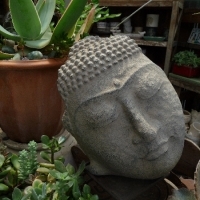 Classes are conducted in a courtyard behind the shop, and living potted arrangements can be delivered in the area. An even tinier adjacent shop purveys fine locally crafted jewelry, art, and more. As Proust once said, "Let us be thankful to those who make us happy; they are the charming gardeners who make our souls blossom." Cugini 1556 Solano Ave./Peralta St., in Albany, (510) 558-9000. L M-Sat, D daily; $. No reservations. Co-owned by three brothers and a cousin (the restaurant’s name literally means "cousin" in Italian), this popular spot specializes in Sicilian dishes. The atmosphere is simple but pleasant. Outstanding choices include antipasto misto—a mix of cheese, olives, roasted garlic, pickled peppers, and both roasted and marinated veggies—and thin-crusted pepperoni pizza baked in a wood-burning oven. Salads include an insalata finocchio (mixed greens with plenty of shaved fennel plus a delicious dressing), and pastas and risotto are also available. Take-out and The Big Night DVD are a great way to go. The lunch menu consists of salads and sandwiches plus a few pizzas and pastas. Triple Rock 1920 Shattuck Ave./Hearst; downtown. This is America’s oldest brewpub. Seating includes at the bar in front where several TVs entertain, at tables in the back, and in a rooftop beer garden with shuffleboard. Beers change regularly and include a popular Red Rock American red ale and an unusual SHE Mosaic that is hoppy with tropical fruit flavors. You can try a few samples to help you select. The half-pound burger is delicious, but the menu includes much more—a Reuben, a salmon sandwich, a ¼-pound ale dog steamed in beer, baked potatoes with a variety of toppings, mac & cheese. Innovative veggie items include a seitan Reuben, Philly cheese steak, and veggie burger. Updated here. Toby’s Feed Barn 11250 Hwy. 1, (415) 663-1223. M-Sat 9-5, Sun 9:30-4. Toby’s always has big, ripe, hard-to-resist fresh fruit and vegetables in bins out front as well as plenty of intriguing gift items inside—fragrant handmade soaps, sweetly decorated dish towels. Feed and paraphernalia for farm and domestic animals is found in the barn next door, and a sweet little coffee bar is adjacent. ●The Grove Fillmore 2016 Fillmore St./Pine St., Upper Fillmore, (415) 474-1419. B-L-D daily 8-11. No reservations. This cozy counter-service spot offers inviting seating inside--including fireside couches--but also outside seating when weather permits. Everything is made fresh in house—sauces, roast turkey, Bolognese sauce, meatballs. Giant cookies are baked hourly. Breakfast is primo, with granola, bagels, omelets and scrambles, huevos rancheros, and really good oatmeal on the menu; it is served until 4 p.m. Lunch brings on soups, salads, and sandwiches. Beverages include coffee drinks galore and OJ that is squeezed fresh into your glass. ●The Grove Marina CLOSED 2250 Chestnut St./Pierce St., Marina District, (415) 474-4843. Daily 7am-11pm. Seating here includes wall-length pews. For breakfast try the strawberry waffle or the country-baked eggs with Niman Ranch ham served in a croissant. ●The Grove Hayes 301 Hayes St., Hayes Valley. Situated in one big open room that still has the feel of many different spaces, this branch has a rustic wood floor and huge stone fireplace. ●The Grove Yerba Buena 690 Mission St., South of Market, (415) 957-0558. Hotel Yountville 6462 Washington St./California Dr., (707) 967-7900. 80 rooms. All gas fireplaces. Pool; hot tub; fitness club pass; full-service spa. Restaurant; room service. No pets. Set on 6 acres of heritage oaks and vintage olive groves at the south end of town, this contemporary-style hotel has a large lobby lounge furnished in sleek grey, silver, and black and featuring a rustic whitewashed beam ceiling. The guest-room buildings have exterior walls covered in Napa river rocks and hug Hopper Creek. Foot bridges and paved walking paths invite strolling. Guest room decor is similar throughout. Some rooms have vaulted wood-beam ceilings, and all but two have either a patio or balcony or some outdoor space. Some rooms have a rectangular Jacuzzi tub, and some have a Roman-style tub in the living room. Beds are made beautifully with fine Italian Bellora linens. A pull-out-the-stops Presidential Suite is also available. Though basically a couples retreat, families are welcome. The spa is guest exclusive, and complimentary access to a nearby full-service health club is provided. Yountville’s Veterans Memorial Park is just across the street, with sand volley ball and bocce ball courts; balls can be borrowed free from the hotel. A complimentary house car is available to take guests around town and into Napa, including in the evening, and bike rentals are available. Hopper Creek Kitchen, the property’s restaurant, is not open to the public. Known for its gourmet farm-fresh breakfasts, the restaurant also serves lunch and a pool-side menu is available. It is closed for dinner. The unenclosed Y Bar operates in a corner of the lobby daily from 4 p.m. to midnight; it opens to a large outdoor patio with fireplace and large fountain, where private wine pourings are sometimes held. Fire pits and a full bar are adjacent to the posh pool area. Cupola Pizzeria Westfield San Francisco Centre, 865 Market St./5th St., upstairs/4th floor/under the dome, (415) 896-5600. L-D daily. Featuring a handcrafted Stefano Ferrara pizza oven imported from Italy—it uses almond wood and fires up to 900 degrees--and with a host of communal tables, this spot is famous for its traditional blistered-crust Neapolitan pizza. Placed on the table atop a raised holder, popular versions include the Margherita with San Marzano tomatoes, buffalo mozzarella, and basil; the Carne with housemade sausage, spicy salumi, and sweet onion; and the Arrabiata with San Marzano tomatoes, pancetta, and chili peppers. Menu highlights include warm mozzarella topped with perhaps Brussels sprout leaves and Meyer lemon sauce (this is my hands-down personal favorite), delicate torn-pasta “handkerchiefs,” and potato gnocchi Bolognese. Salads are lovely, and desserts inviting—most especially the affogato with vanilla ice cream, coffee syrup, and scrumptious candied almonds topped with shaved white chocolate. For something different, order La Festa di Tutte Le Feste (“the feast of all feasts”) with matched wines (one prosecco, two whites, two reds). Chef Marc Tennison sends out taste bud-stimulating dishes that include antipasti, salad, pasta, pizza, and dessert. Overall, this bustling restaurant’s menu reminds me of something you would find in Italy; it is quite a pleasant surprise to find it here in a shopping mall and is the perfect place to refuel for, or recover from, shopping.